3CS Sealed - all components sealed, new design, new components, and all new Lower Prices! 3CS General Info - All of the 3 Circuit Solutions will provide you with three fused outputs with grounds for all kinds of electrical accessories you want to put on your bike. The purpose of the 3CS is to avoid multiple extra battery connections. These Kits are great for those with modest power needs. The components are easy to tuck into unused spaces near the battery. This means you don’t need to find a large open area to mount a fuse panel, or run long wires from the battery. These Kits are easy to fit to any bike. 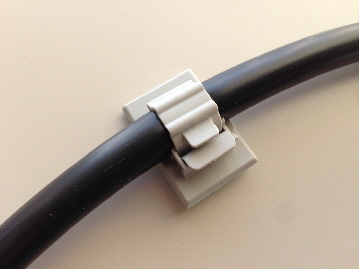 You can install the included 3 mating connector halves onto your accessories’ wires either by the ‘pinch and solder’ method, or by purchasing the appropriate crimper from us on this page. I have a tutorial on crimping here. Additional options - you can add a 3CS plus a 4th circuit directly to the battery. I find 2 extra terminals on each battery post is the limit for easy battery maintenance. When you get 3 sets of extra terminals you also likely need to buy extra long battery bolts. Also, you can combine two low power circuits into one output connector. So there are ways to power more than 3 things with a 3CS. I now make and sell splitters allowing easy extra circuit or device hookup. 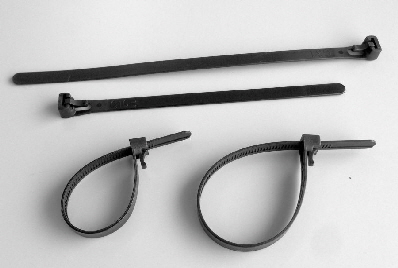 The 3CS is hand assembled and made of the highest quality materials. The 3CS can be used on any bike, even a mini bike or mobility scooter. The 3CS is perfect for small dual sport bikes or sport bikes. 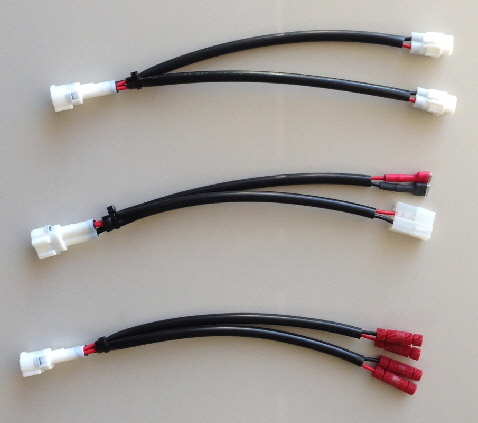 You can install two or even three of these Kits on a bike, so if you find you need more circuits in the future you can add another 3CS or use a splitter. I have a 3CS on each of my own bikes. They are powering my GPS, an aux socket, heated clothing, and aux lights. 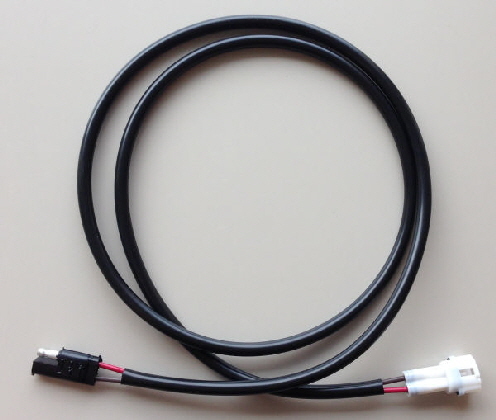 Now available, 3CS Splitters and Leads for a modular plug and play solution.